please any one can help me??? Good phone in general, good sound quality, good battery, good signal; my phone had only one problem keys 7,8,9 didn't worked after a while-the keyboard chip was the problem. 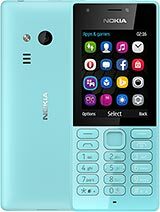 govinda, 25 Dec 2009hi, i bought the nokia 7310 phone last year,the 7,8,9 and - keys had stopped working.I went t... morenokia care centre in jagat puri nera relince will be beneficial for u..........i had also proble of 7,8,9 keys but and they goit it repair properly..
i've using 7310 supernova for over a year. no complaints... its the first time i've heard of the 7, 8,9 keys problem. the battery backup's amazing and browsing speed is fine (that also depends on the cellular network). just curious about what exactly happens after restoring the factory settings, does it erase the data of the memory card too if its inserted at that time? hey. i want to buy this phone, but i'm hesitant because of the "789" problem. what do you think? hai ! i want to buy this mobile but they said 789 didn't work . is it right ? im verry love this phone ! can you help me give the solution ?